Maryland's varied terrain and climate mean there's a way for everyone to get outside and have some fun—whatever the season. 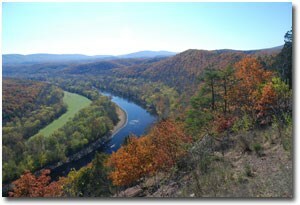 Maryland's portion of the Appalachian Trail covers 40 picturesque miles, from Pen-Mar to the Potomac River. It's an easy hike (by Appalachian Trail standards). Just follow the ridge of South Mountain—and keep following it until you hit Virginia! Just a short ride from the bustle of Ocean City, Assateague Island, with its pristine beaches and wild horses, is a great family getaway. Camp out on the beach or take a stroll on one of the nature walks. Did we mention that the place is full of wild horses? Wild horses! While the train is still a great way to get around, there aren’t that many around anymore. The railroad's loss can be your gain, as more and more of these abandoned railroad tracks have been paved over and turned into biking and hiking trails. 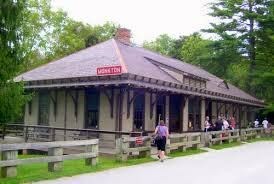 The Western Maryland Rail Trail boasts 23 miles of flat, paved bike trail along the Chesapeake & Ohio Canal, and the Baltimore-Annapolis Trail connects Annapolis and Glen Burnie along the former B&A Short Line Railroad. There are more than a dozen rail trails in the state, so you can see much of Maryland this way. More on biking in Maryland. Western Maryland has its own world-class trout fishing river: the Savage. Totaling almost 30 miles, it's divided into the Upper Savage River (populated mostly by wild brook and stocked rainbow trout) and the Lower Savage River tail-waters (filled with wild brown and brook trout). It's all accessible by road in the beautiful 57,000-acre Savage River Forest. Stand-up Paddleboard, referred to as SUP, is quickly becoming one of the fastest growing watersports and is a new way to have fun on many of Maryland's waterways. Famous for its layered cakes (the official dessert of Maryland), Smith Island is a short ferry ride away from Crisfield on the Eastern Shore, but a world away from the mainland in every other respect. This island-out-of-time is one of the last inhabited islands in the Chesapeake. 15,000 years ago, when the glaciers of the Ice Age retreated, a little piece of boreal swamp formed in a mountain “frost pocket” in Western Maryland. Today, the Cranesville Swamp is home to 50 species of rare animals and plants, and a subarctic wetland that mimics those much further north in Canada. It will give you a glimpse of what North America looked like during the Ice Age. Kids (and science geeks of all ages) will love hanging out on the park’s beach looking for fossils (we’re talking shark's teeth rather than T. Rex bones, but still…). Go after a storm, when fresh fossils wash ashore. There's no need for a commercial crabbing outfit for a fun time crabbing with the kids. Check out the Chesapeake Bay's most famous resident up close with just a string, some bait (chicken necks are a local favorite) and a net. Catch the limit of two dozen Jimmies—male hard crabs—with no permit necessary, and gain a new appreciation for the origins of the steamed bushel you pick up on the way home. Get in on this local annual tradition. Floating down the Gunpowder in the cold waters (they don't get much above 60 degrees even on the hottest days) released by the Prettyboy Dam is a great way to beat the heat of summer. Located just north of Baltimore, the Gunpowder meanders through light rapids and pools. Tube rentals and shuttles to get back upriver are available nearby. Green Ridge State Forest is only a few hours away from the big cities and towns, but offers everything an outdoorsman (or woman) could want. As the largest public land in the state (47,650 acres), Green Ridge offers hunting, fishing, paddling and 100 primitive campsites. Find out about other campground locations in Maryland. Janes Island State Park is home to 30 miles of sheltered, secluded water trails perfect for canoeing, not to mention pristine beaches and amazing sunsets. For overnight trips, visitors can stay at one of the campsites on the mainland or venture out to one of the back-country sites along the water trails. There are more than a dozen marathons in Maryland in any given year, from the Seneca Creek Trail Marathon and 50K in Gaithersburg, to the XTERRA Big Elk Marathon in Elkton. Add in all the other ultra-marathons, 10Ks, 5Ks, relays and trail races, and the total is closer to 1,000. If you're looking for an excuse to get outside and get some exercise, it's tough to find a weekend that doesn’t have a running event somewhere in the state, so what are you waiting for? Where do Marylanders go to beat the heat? Down the ocean, hon. Whether you’re in search of beachy t-shirts, the famous Thrashers French Fries or a Bull On The Beach beef sandwich, or you long to run across the hot sand and dive into the cool water, Ocean City and its surrounding area have been a part of childhood in Maryland for well over 100 years. Sort of an urban Appalachian Trail, the East Coast Greenway links cities and towns from Calais, Maine to Key West, Florida. Here in Maryland, it's about a third off-road trails, open to non-motorized traffic of all kinds, giving adventurous bicyclists and hikers a route from Elkton to Baltimore to Annapolis to Washington. There's almost always surfing in Ocean City. Beaches are cordoned off every day for locals and tourists to try their luck at surfing. But the real action—the surfing locals swear is the best—requires a thick wet suit and an appalling lack of common sense. That's because the best waves come to town after most of the tourists have gone home, in the depths of winter, with an average water temperature in the thirties. People swear by it (but hard-core surfers have to be a little crazy, right?). With intermittent barrier islands, scenic cypress swamps and Eastern Shore bays, it's logical that Maryland is home to a diverse assortment of bird-watching sites and natural habitats. An astonishing array of birds pass through Maryland during their annual migrations. Follow in the wake of Capt. John Smith, 400 years after he explored the Chesapeake Bay. The National Park Service's Captain John Smith Chesapeake National Historic Trail traces his journeys through his notes and journals, as the explorer and his men traveled the area by small boat. Details and maps are available at the Park Service website. The thing about mountains is there's always something on the other side. If you want to see it for yourself, you'd better start climbing. Carderock has long been a popular site in the Capital Region for climbing and bouldering, while the aptly named Rocks State Park, further north in Harford County, is one of the best spots for traditional climbing. Patapsco Valley State Park, along the Patapsco River, is one of Maryland's oldest state parks, founded in 1907. The rough, hilly terrain in the valley makes it perfect for experienced bikers, and more casual riders will want to check out the trails near the top to see beautiful scenery, complete with waterfalls, bridges and stream crossings. Come prepared to get muddy! Maryland food is more than just blue crabs and Old Bay. Stock up on vegetables from one of the many pick-your-own farms in the state and eat healthier while supporting a local farmer. MarylandsBest.net has a listing of the farms near you and the crops that are in season. There’s something about fall that inspires farmers to carve intricate patterns in their crops and invite strangers to wander around. Winterbrook Farms in Thurmont is the state’s largest corn maze—with two dozen checkpoints, no less—and after you find your way out, you can take a turn at the new apple-shooting air cannons. Winterbrook Farms has been the Lawyer Family Farm since 1922, and adds new activities for visitors all the time. Find more fall fun on the farms of Marland..
Just outside Baltimore City, Hart-Miller Island and Pleasure Island are uninhabited beach getaways accessible only by boat. Camping is available on a first-come, first-serve basis near the mooring fields. It's a perfect way to relax after a day on the water. Find out more about touring the islands of Maryland. This Western Maryland ski resort offers 172 acres of skiing, snowboarding and snowmobiling. If snow sports aren’t your thing, that’s no problem. Golfers can while away the day on the Lodestone Golf Course, and you can bike through the mountains or paddle the surrounding rivers. Stay a while at the resort hotel so you have time to enjoy every outdoor activity on offer. Search our comprehensive list of campgrounds along Maryland's Eastern Shore. Find top places to go hiking in Maryland, including hiking trails, beaches, nature preserves and more. Search our comprehensive list of campgrounds in Western Maryland. A fisherman’s haven, a cyclist’s dream and natural wonders just waiting to be discovered carve out the backroads and shores of Maryland’s great outdoors. Search our list of campgrounds in Maryland. Search our comprehensive list of campgrounds in the Capital Region.